Data-driven predictive collaboration platform. Combines and connects people, systems and sensor technology to plan, predict and perfect airport operations, maximise revenue and improve passenger experience. Veovo gives airports a holistic view of their operational ecosystem to built robust seasonal plans, leverage analytics to predict and contrast mitigation scenarios, and act on decisions. Airport partners can make decisions that best balance stakeholder and guest expectations with throughput and service level agreements. With end-to-end journey insight, airports can achieve the predictability, efficiency and resilience that is needed to deliver outstanding operations and brilliant guest experiences. 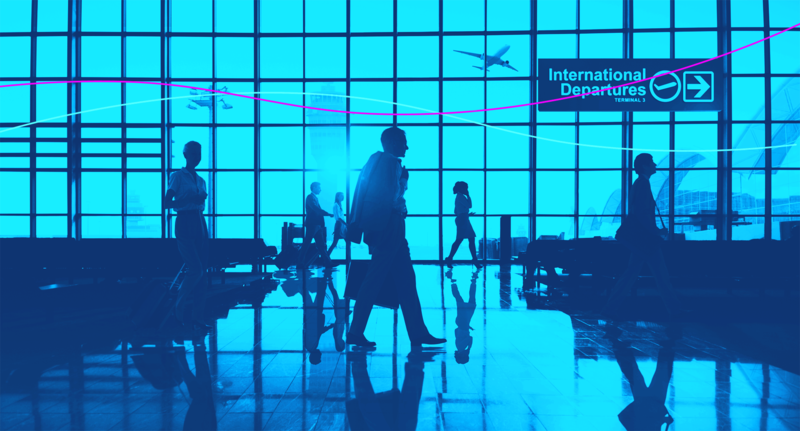 Veovo´s predictive collaboration platform enables over 110 airports globally to plan, predict, and perfect the airport ecosystem. The result: brilliant guest, operational, and commercial decisions. The Gentrack airport group, Veovo, is headquartered in New Zealand with offices in the UK, USA, Denmark and Malta. Airports across the globe are using Veovo to boost aeronautical revenue growth potential. By automating the collection of detailed data from across the airport, airports are centralizing and enhancing their revenue management process to realise more income. By combining concessionaire sales data with flight schedules and guest movement predictions, airports can at last understand the true profitability of each service and route, uncover new revenue generating opportunities and bring data driven insight to carrier negotiations. Confidence: robust billing capabilities proven to reduce leakage at major airports – Veovo can bill both aeronautical and non-aeronautical revenue. Simplify the management of all revenue with one view across all revenue sources. Seamlessly connecting the operational heartbeat of the airport with its income generation capability. Promote the uptake of off peak slots and remote stands. Real-time location analytics combined with advanced capacity management are the essential ingredients in the Veovo Guest Predictability platform. Reliable insights allow airports to proactively eliminate guesswork, prevent hazardous situations from escalating and use resources more effectively. It’s the perfect recipe for accurately predicting, planning and perfecting the passenger experience. Create accurate capacity plans and continuously adjust staff resources to match passenger demand. The solution works by measuring and combining data from multiple technologies and data sources to create the best representation of current, as well as future, situations. Through advanced data-mining and predictive algorithms, the platform transforms both real-time and empiric data into valuable information. 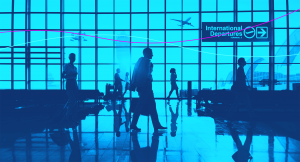 Live and empirical queue time, occupancy and average production rate analytics enable airports to evaluate performance and accurately comply with key performance indicators. It also allows airports to display estimated wait time information, to help manage expectations. With real-time occupancy figures, critical overcrowding issues are avoidable. Seamless in-depth knowledge of passenger movement and dwell times in individual processes or throughout the entire airport compound. When paired with flight/carrier/route and concessionaire sales data, airports get a complete picture of guest behavior to make informed retail and capital planning decisions. Passenger show-up time and volume predictions that dynamically adapt to compensate for various anticipated and unanticipated events. Enables airports to create more accurate long-term capacity plans, and continuously adjust staff resources to match passenger demand. Veovo gives airports a holistic view of their operational ecosystem to built robust seasonal plans, leverage analytics to predict and contrast mitigation scenarios, and act on decisions. Airport partners can make decisions that best balance stakeholder and guest expectations with throughput and service level agreements. 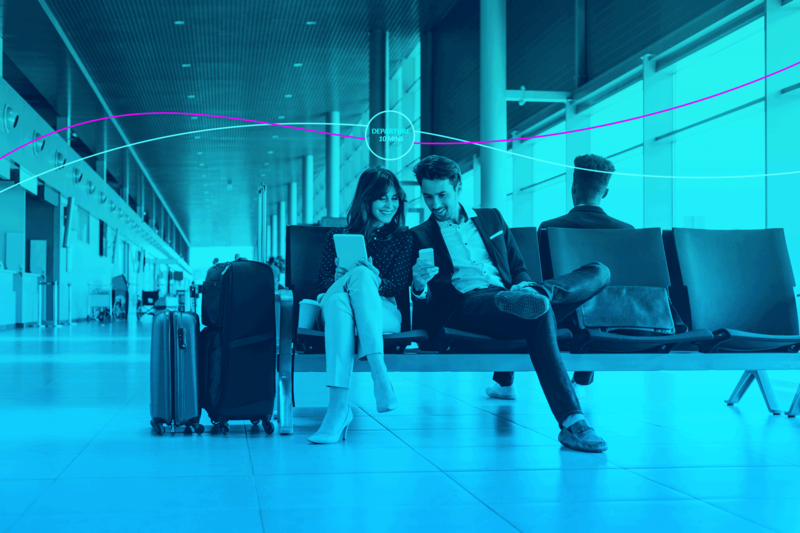 With end-to-end journey insight, airports can achieve the predictability, efficiency and resilience that is needed to deliver outstanding operations and brilliant guest experiences. An activated ecosystem streamlines flight turnarounds+Guest delight soars when communication is personalized, media-rich and value-laden. Brilliant operations start here. Veovo’s reimagined AODB not only acts as a consistent ‘source of truth’ for all operational data but provides a personalized, predictive view across all operational processes. Manage by exception to proactively address the matrix of variables with activity feeds, alerts and to-dos. Brilliance demands consistency. Veovo helps build smart resourcing plans, while the ability to flex resources smooths peaks and gets schedules back on track sooner. Respond quickly to unexpected events, balancing costs, constraints and commercial priorities. On the day of operations, it takes an ecosystem to evaluate performance. CDM engages all stakeholders with proactive recommendations to perfect the flight turnaround. Increase traffic predictability and overall network performance.